It is not enough to know that you are in pain. You should understand the details of your injuries and know what is causing that pain so that you and your attorney can better communicate the long-term effects of said injury to the opposing party. Additionally, saying “my back hurts” is unconvincing, but saying that you have a herniated disc with compressed nerves sounds much more serious and worth compensating you for. How long can I expect to be in pain? Pain has a monetary value in court, as pain can prevent you from living your life fully. Ask your doctor how long your pain is going to last and use that time frame to boost your settlement’s worth. How will these injuries impact my future? A lot of severe injuries result in lifelong medical expenses, or at least medical expenses that continue for the foreseeable future. To better understand what your future holds, and to ensure you have enough funds to cover all present and future healthcare bills, ask your healthcare provider about what you can expect in terms of future healthcare needs. If you hope to convince the jury that you need compensation for future medical expenses, you will need to tell the jury what you expect your costs to be, as well as produce an expert testimony. How did I sustain these injuries? For many accident victims, the answer to this question may seem obvious—they sustained the injuries in the accident in question. However, it is not unheard of for individuals to take advantage of the legal system by claiming that a pre-existing condition was caused by another party’s negligence. 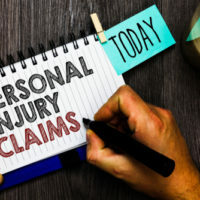 To prevent this type of fraudulent behavior, courts require that personal injury claimants produce medical evidence that clearly indicates that the injuries were caused by the other party’s actions. Lost wages are another form of damages that you can recover in a personal injury case. If you are unable to work because of your injuries, the other party should be responsible for covering your lost wages in the meantime. The other party will try to say that you can work but just choose not to. To refute this point, get your doctor’s opinion in writing as well as an estimate of how long it will be before you are fit to return to work. If you were injured in an accident caused by another person or entity’s negligence, contact our Miami personal injury lawyers at Spencer Morgan Law for advice and legal assistance. Our attorneys can make the whole claims process easier on you and advise you on what you can do to help maximize your recovery. To schedule a free consultation with one of our lawyers, contact our office today.